Apple knew that the iPhone 6 and 6 Plus were much more likely to bend than previous handsets, according to court documents that were recently made public. The Cupertino tech giant is in the midst of an ongoing lawsuit over the so-called “Touch Disease” that plague iPhone 6 and 6 Plus devices. Some people in the repair community believe that the issue is tied to bending that occurs with routine use. As part of the case, Apple was ordered to provide internal engineering documents to the court. While most of those documents remain sealed, some of the information has been made public in an opinion by presiding U.S. District Court Judge Lucy Koh. Through it own testing, Apple found that the iPhone 6 was 3.3 and the iPhone 6 Plus was 7.2 times more likely to bend than the previous-generation iPhone 5s, Motherboardreported after obtaining the documents. Apple still publicly maintains that the iPhone 6 and 6 Plus do not have a bending issue. But according to court filings, an internal review found that engineering changes were “necessary” to prevent touch disease in subsequent devices. To combat the issue, Apple began to reinforce the logic board component that is associated with touch disease. Its official stance is that touch disease only occurs when an iPhone is dropped “multiple times” onto hard surfaces and further stress is incurred. Shortly after the iPhone 6 and 6 Plus were released, they became the center-point for the so-called “bendgate” scandal. 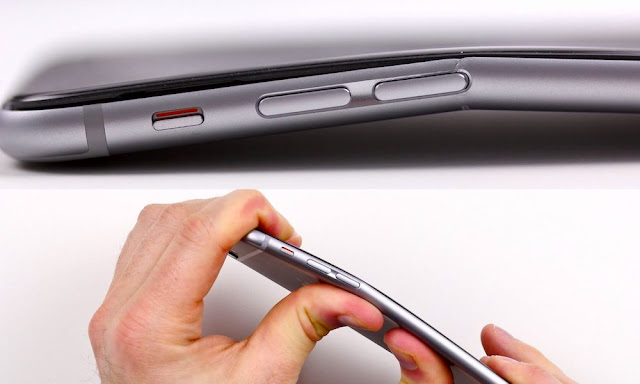 Essentially, both devices were accused of being extremely prone to bending. While, on the surface, “bendgate” and “touch disease” may seem like two separate issues, independent repair testers have concluded that they are related. When an iPhone 6 or 6 Plus is impacted by touch disease, it may become less responsive or even unresponsive to touch commands. The top of the iPhone displays may also flicker with a gray bar. As Motherboard points out, repair experts found that the issue is caused by the “Touch IC” chip becoming particularly unsecured from a device’s logic board. The publication also points out that repair professionals believe the issue is caused by flexing or bending of a device during normal use. Eventually, a class action lawsuit was levied at Apple due to the issue. That case is still ongoing. Apple did not publicly disclose that “touch disease” was a problem until November 2016. In the wake of that announcement, it began to offer discounted $149 repairs for phones afflicted by the issue — down from the usual price of $329. In the case, Apple’s primary argument is still that touch disease cannot occur unless a device is dropped multiple times. Of course, the case is still ongoing and not all information has been made public. Judge Koh has denied the plaintiffs’ motion to have the case class certified, Motherboard reported. An appeal is currently being considered.